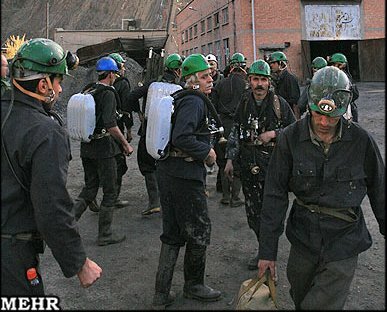 In a year when thousands of Iranian workers have been laboring for months without pay, and thousands more have been laid off of their jobs, when huge swaths of the Iranian working class are clinging to life under the poverty line, when child laborers are consigned to selling flowers by the roadside or digging through scrapyards to eke out a living, we at Mission Free Iran call for international solidarity with Iranian working women and men, and their struggle for a better humane Iran. This page serves as an index for our labor-related analyses and campaigns. May 26, 2010: IRI Out of the ILO! This document provides argument for why the Islamic Republic should be refused attendance at the ILO’s annual meeting and should be expelled from the ILO. It encourages readers to write to the ILO (ilo@ilo.org) to demand the Islamic regime’s expulsion. May 28, 2010: We Demand Better for Our Children: End Child Labor in Iran. 2. FREE THEM NOW! is a campaign that Mission Free Iran supports. July 10, 2010: Letter from the Mother of Imprisoned Worker Behnam Ebrahimzadeh: People around the World – We Want Freedom for Behnam!